Clemson University’s tiger paw logo is based on a print of a real tiger paw. The fishhook-shaped wrinkle in the logo’s lower right came from a scar. The logo is always tilted to the 1 o’clock position. Clemson University class rings were first available 1896. 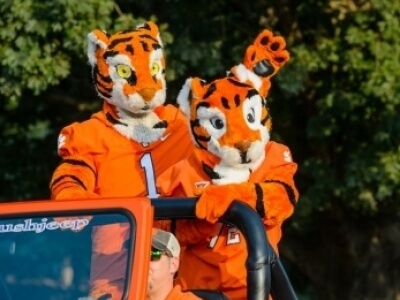 A copyright allows only Clemson alumni and students with 90 hours or more to wear a Clemson ring.